Drawn by the vintage soda fountain bar and 100 year old Petersen oven, Matt DiGesu and Frank Pinello took a year and half to restore this historic pizzeria back to its former glory. The vision was, and will always be, to provide an inclusive place where those in the Westchester, Bronx and New York metro area can gather and enjoy a great Italian meal. Pizzeria La Rosa provides a menu of classic Neapolitan meets New York style pizzas, seasonal salads, side dishes and Italian desserts. All our food is made in house with fresh ingredients. We also have a bar that offers a modest selection of curated cocktails and wine, as well as a selection of craft and domestic beers. Matthew DiGesu is a 3rd Generation Bronx born Sicilian American who grew up in Southern Westchester County. Sunday dinner in his grandmother’s kitchen is what sparked his passion for cooking before he could even reach the meatballs from the saute pan. Matt got his start in the restaurant industry answering phones and delivering Chinese food while attending SUNY New Paltz. After graduating New Paltz, Matt worked corporate marketing jobs for both Red Bull and Naked Juice. At Naked Juice, he served as a marketing director and moved from Brooklyn to San Diego. In 2007, after collecting a severance package and growing tired of corporate work, he walked into Hoboken Pizza in Pacific Beach and was given his first pizzeria job. Over the next 4 years, Matt learned the pizza and craft beer business. He then became the GM at the popular San Diego spot Pizzeria Luigi. ​In 2015, Matt moved to the Bronx to help take care of his family. Within a few weeks of his return, he started working at Best Pizza where he learned the art of cooking in a wood fired oven, making mozzarella, pickling vegetables, brining meats and cooking with seasonal ingredients. In 2016, Matt found the La Rosa location and spent the next year reviving the 100 year old space. Frank grew up in Bensonhurst, Brooklyn and Long Island, NY. Frank’s lessons in the kitchen started early while learning the secrets of his Sicilian grandmother’s cooking in her basement kitchen. These formative years influenced Frank to attend the Culinary Institute of America (CIA) at Hyde Park. 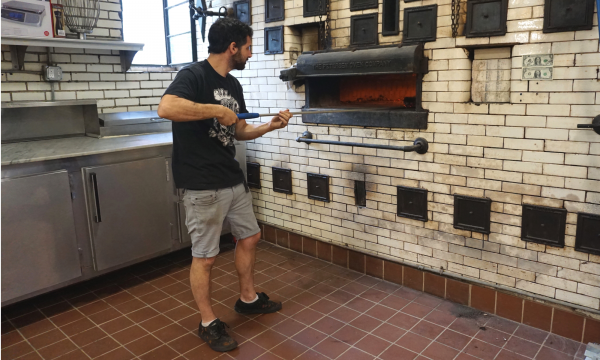 After graduating CIA, Frank’s journey continued while making pizza at Giacomo’s in the Hudson Valley, with Chef Nate Appleman (A16, Pulino’s, Chipotle), and at Roberta’s in Bushwick. 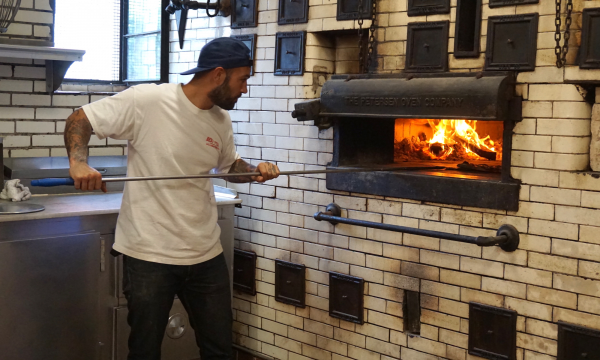 These experiences coalesced in the successful opening of Best Pizza in Williamsburg in 2010. In 2016, Frank teamed with Matt to open a full bar/sit-down restaurant. Thus began the journey of renovating a 100 year old space and opening what is Pizzeria La Rosa. Frank is also the host of Viceland’s the Pizza Show, where he travels around the world documenting pizza culture.